To follow-up on my post about Gil Evans’ piece Blues for Pablo (Blues for Pablo True to Form), I confess I’m guilty of petty theft. 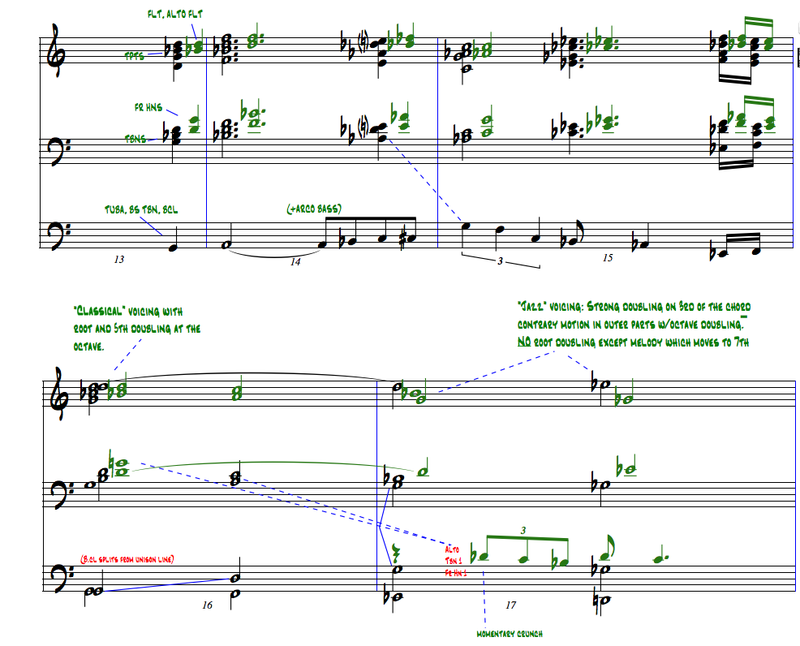 In a few bars of a new piece, Gaslight, which I performed with my Tentet last week, I used Gil’s idea, his sound from four bars of his piece. Please see my earlier post for a full explanation of how Gil expresses tension and resolution in these measures. Here’s a quick summary: In M. 13 Gil creates a striking dissonance between the brass and ww’s above, and the tuba, bass bone and bass clarinet below. Harmonic tension resolves by M. 16, as the triadic and classical voicing style of M. 13 moves to a more to open modern jazz style. 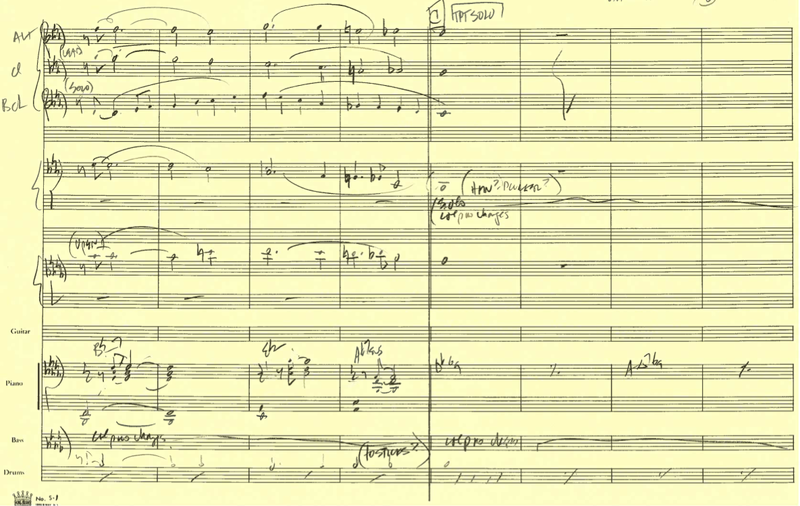 Four short bars become a “mini-cell” containing drama and movement, and while Gil’s treatment is much more intense and dramatic than mine, the sound and concept are the same. I also poached the shape of Gil’s low melody as it moves up against the Bbmi chord. My four stolen bars start at 5 after letter B.
I believe it was Stravinsky who said “steal from the best”. I think I got away with it, but I hope I didn’t go too far; judge for yourself. 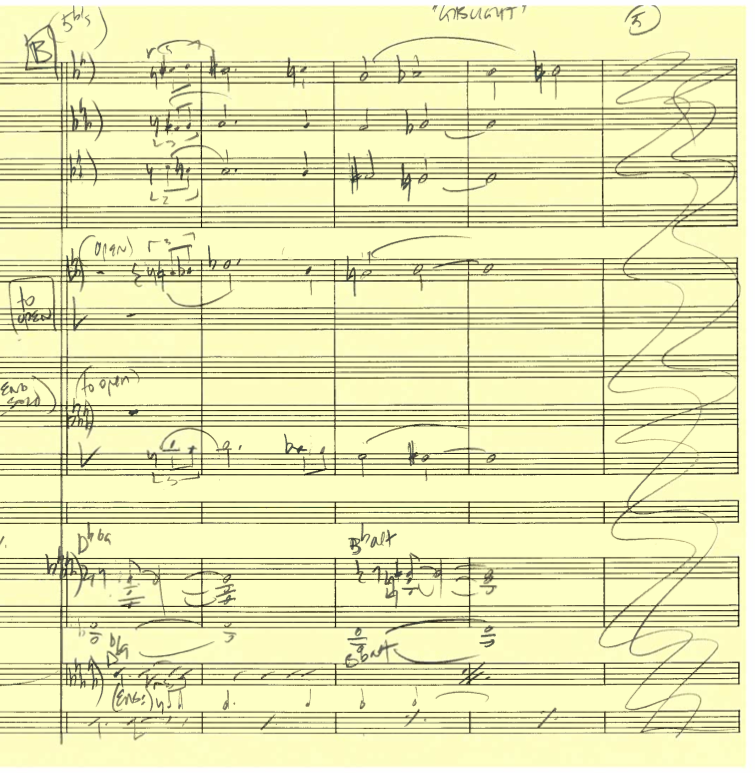 Gallery | This entry was posted in Duke Ellington, Gil Evans, Harmony, Jazz Arranging, Jazz Composition and Analysis, Jazz history, Miles Davis, Orchestration, Theory and Harmony and tagged arranging, blues for pablo, duke ellington, gil evans, jazz analysis, jazz arranging, jazz composition, jazz theory, linear harmony, miles ahead, music, music theory, Orchestration. Bookmark the permalink. In my book you’re in the clear. It’s a subtle nod to my ear. I like beer…so have no fear (those first two were completely unintentional, I swear!). Anyways, only serious musicians MIGHT notice without a score or having Blues for Pablo recently in their head. Remember, you’re analyzing this much closer than a fresh listener would. As long as you don’t pull a Hans Zimmer, you’ll be good. Loved hearing and seeing the comparison. I hear it as more inspiration than stealing…:-) Great piece you composed – ‘Gaslight’ … hope you guys do that one again! 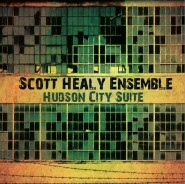 It’s part of the Suite–I’m going to record it early next year. You’ll definitely hear it again.